Horses are amazing and intelligent creatures. They can help children and adults with various cognitive disorders such as; depression, aggressive tendencies, eating disorders and many more. They can also work as service animals, substituted for seeing eye dogs and emotional support animals. That job is usually reserved for mini horses, since full sized horses would have some difficulty going on the bus or leading their owner around town. We know that there are many benefits of equine assisted therapy, but today let’s dive into the emotional, psychological and physical benefits by looking at the current medical research. 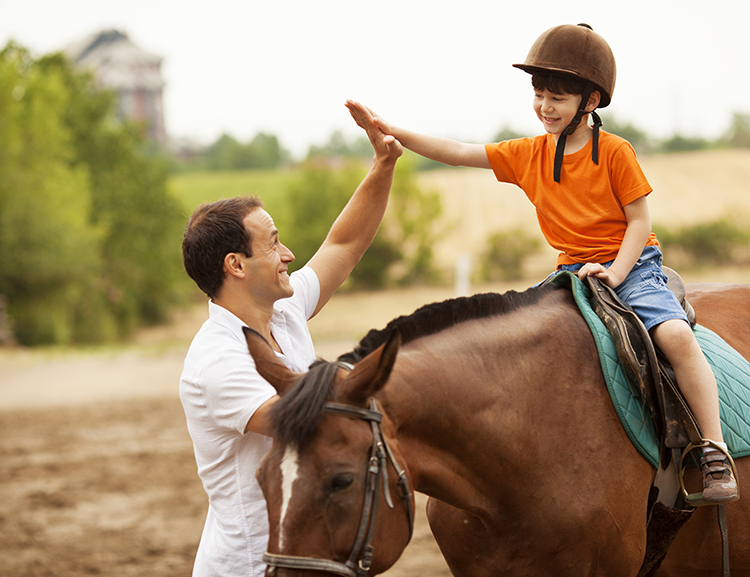 One scholarly article reviewed 23 studies where equine assisted therapy has proven to work. These results are amazing, as it gives many families hope. Particularly, children with autism struggle with personal relationships. Service dogs help some, but for others many types of therapy are not effective. Many who take part in equine assisted therapy blossom, coming out of their shells. They learn how to take care of another being and be gentle with them, which is a great life lesson for anyone. Another study found that the patients, after five weeks of equine assisted therapy, were less irritable, more communicative, and had greater social cognition. The results of equine assisted therapy as part of a treatment plan prescribed by a licensed physician have proven, time and time again, to help many individuals. Horses are an important aspect of animal assisted therapy and have helped many people in need. Our grant partner, Hearts and Hooves, is changing the lives of special needs children every day. Be sure to join our Facebook page for inspirational updates and an insight look into a (mini horse) session of animal assisted therapy . 1FUR1 would be very grateful if you shared this article and/or join our mission.